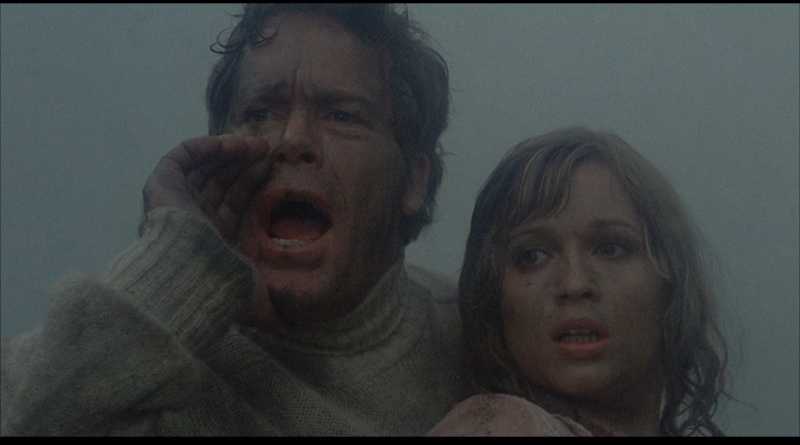 Cast: Doug McClure, John McEnery, Keith Barron, Susan Penhaligon, Anthony Ainley and Declan Mulholland. 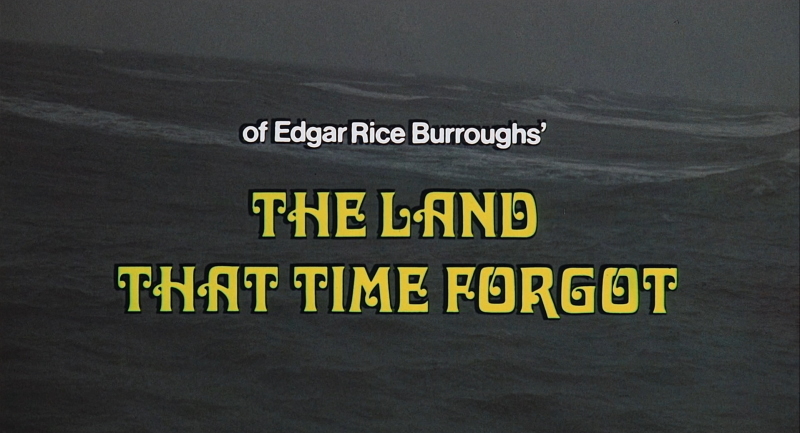 This Amicus/AIP co-production of the 1924 Edgar Rice Burroughs' novel of the same title is set during WWI, opening with a German U-Boat commanded by Captain von Schoenvorts (John McEnery, Schizo) torpedoing a British passenger ship, the only survivors are American Bowen Tyler (Doug McClure, Humanoids from the Deep) and his British lady friend Lisa Clayton (Susan Penhaligon, Patrick), British officer Bradley (Keith Barron, Nothing But the Night) and a handful of British soldiers, who are all gathered together on a small life boat. Floating through a fog bank Tyler sees the U-Boat that sunk them surfacing and rallies the soldiers to make a move, fighting the crewman who emerge from the German sub and taking control of it, hoping to sail it to a British port. However, devious German officer Dietz (Anthony Ainley, The Blood on Satan's Claw) is none to thrilled about losing control of the ship and immediately sets about sabotaging the radio and compass, making it difficult to navigate, and when the sub comes under fire from a British warship the crew have no choice but to dive and retreat, becoming hopelessly lost and running low fuel, eventually finding their way to a mysterious land mass that they theorize to be the lost continent of Caprona. The place is surrounded by huge icebergs and ice sheets, the sub submerges once again and travels under the ice sheet, emerging in a lagoon that reveals a place of natural wonder, a lush jungle populated by anachronistic dinosaurs and a race of primitive people. Discovering that there's crude oil on the island the Germans and British crews call a truce, working together to build a primitive oil refinery from which they can produce fuel for the sub, and escape the newfound lost world. 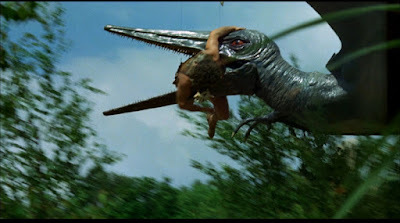 The trip to the island takes about half the film so there's a lot of turmoil within the sub as control is volleyed about, but once they get to Caprona things pick-up considerably, as we are treated to a plethora of Roger Dicken (Scars of Dracula, Alien) created dino-puppets, not made through Harryhausen-style stop-motion but through the use of highly detailed puppets, which look cool if a bit plastic and stiff at times, occasionally you can spot a wire or two supporting one of the winged-creatures as they attack and carry off some poor soul, but overall I dig it. 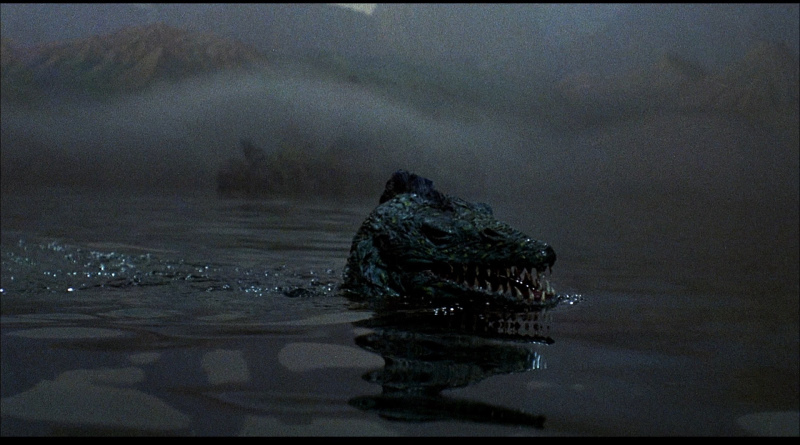 I prefer the old-style Harryhausen stop-motion creations but the Plesiosaurus and Styracosaurus are undeniably cool, in fact when the Plesiosaurus is boiling to death in a super-heated lake I felt pretty bad for it as a kid. We also get some fun miniature work, a lot of the sub scenes are done with miniature, including a fiery volcanic finale with loads of smoke, fire and red lighting - it all looked great. It might be a tiny bit dated but I have a lot of nostalgia for vintage special effects, I prefer it to the uncanny valley of modern digital FX, I know they're cheesy, but I just love 'em. 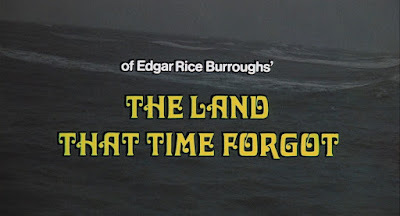 Audio/Video: The Land That Time Forgot (1976) arrives on region-free Blu-ray from Umbrella Entertainment in 1080p HD, framed in 1.85:1 widescreen. Not sure of the source of the HD master here but it look good, the source shows some minor wear, white speckling mostly and some tiny scratches, but overall very nice. There's some modest depth happening here once we emerge from the dark confines of the U-boat and onto the island, the dinos and island vistas offer up some nice texture with decent contrast. Audio comes by was of an English language DTS-HD MA Mono 2.0 track, perfectly fine without any hiss or distortion of note, the score from Douglas Gamley (The Beast Must Die) benefits the most from the lossless audio option. Unfortunately this release is absolutely barebones, there are no extras, not even a trailer or a start-up menu. 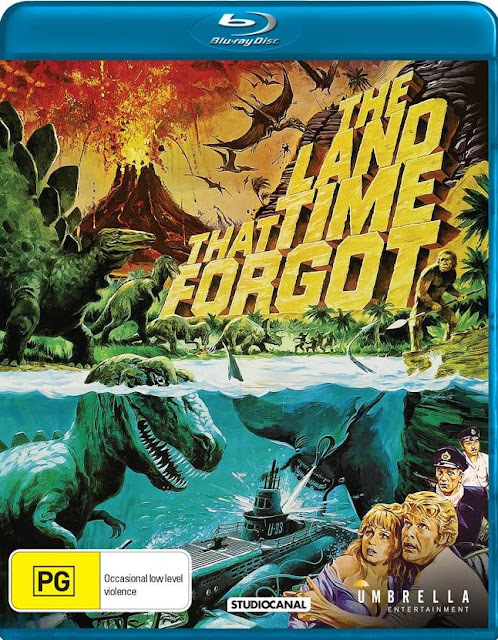 The single-disc Blu-ray release comes housed in the usual over-sized 16mm spine keepcase with a sleeve of reversible artwork featuring the original key-art with the reverse side features a variant of the same key artwork minus the rating label. Oh wait a minute! After rewatching this post-review I was toggling through the audio and found that there's a hidden/unadvertised commentary with director Kevin Connor moderated by Brian Trenchard-Smith, carried over from the Kino Lorber release, it's a great track and a welcome extra! I am an unabashed fan of these semi-cheesy vintage action/adventure/creature features, I like the kitschy patina they've acquired with age, they capture a special magic that once you get a whiff of as a kid it just stays with you, the same way that the aroma of cinnamon triggers memories of grandma baking apple pies in the kitchen, yup, just like that ...and maybe your grandma didn't make the best apple pies, but the memory is still warm and fuzzy.